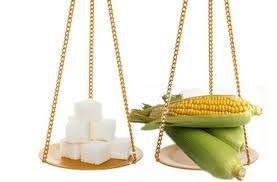 Big Sugar is taking Big Corn to court over the name “corn sugar.” Representatives of U.S. sugar farmers and refiners claim that the corn industry’s use of the term constitutes false and misleading advertising. We agree that the name is confusing. But we also think that you should limit consumption of all added sugar, in any name or form. The lawsuit comes after manufacturers of high fructose corn syrup petitioned the Food and Drug Administration to change the ingredient’s name to “corn sugar” in 2010, and began promoting it as “corn sugar” in advertisements. They want to make the change largely because of the bad rep high-fructose corn syrup has received in recent years as being somehow less healthful than other forms of sugar, which has hurt its sales.